Matelex, a specialist in leak detection and energy management for thermodynamic installations, joined the Dehon Group in October 2017. Matelex markets the DNI, a patented smart system that detects refrigerant leaks using indirect measurements. 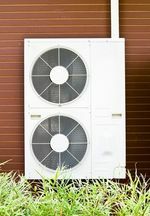 Coupled with a remote surveillance web interface (Sentinelle), this system can be used to constantly monitor installations for changes in refrigerant load and leaks, thanks to measurements that are taken every 2-3 seconds. This technology not only provides a suitable response to European regulatory requirements (EU F-Gas 517/2017), which require the installation of a detector to warn the operator of leaks for all installations containing more than 500 t CO2 eq., but it is also an energy efficient solution that monitors installation performance. 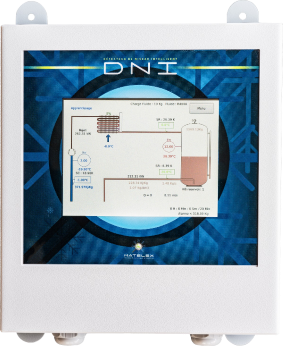 In fact, the DNI does more than simply detect leaks, as it also offers two complementary modules. The energy module calculates the energy consumption of different components and calculates the installation's actual COP, whilst the floating HP module helps achieve energy savings.